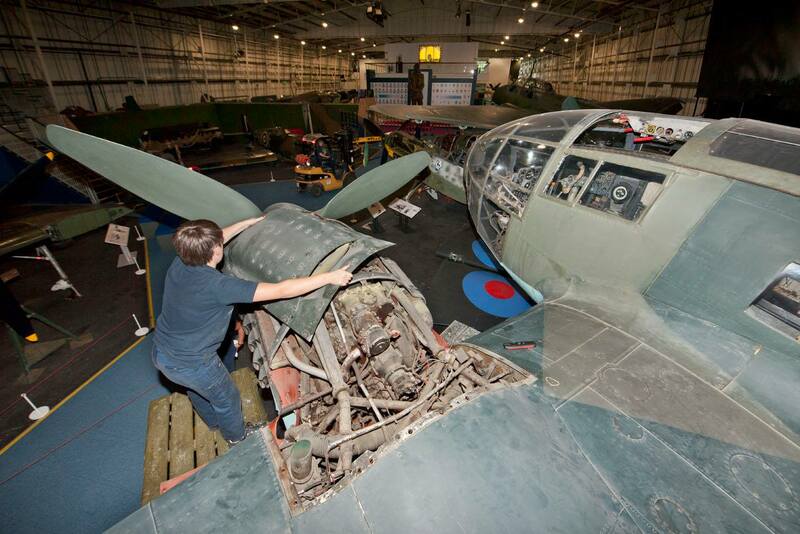 In order to celebrate and commemorate the Centenary of the Royal Air Force in 2018, the Museum is carrying out a capital transformation programme for our London site. This suite of projects includes the development of three new exhibitions which will tell the story of the RAF over its first 100 years, examine its roles today and invite visitors to image its future contribution and technology. Please click here for more information about the Programme. 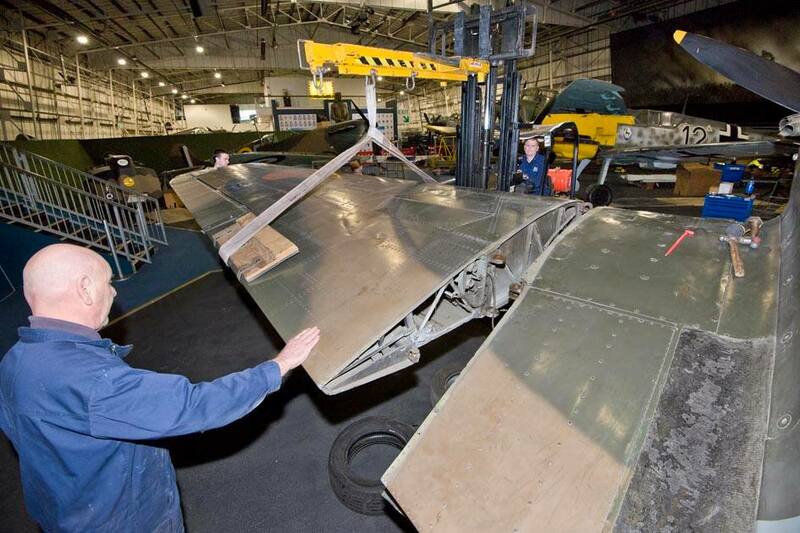 In preparation, over the past six months, a dedicated team of technical staff, apprentices and volunteers has been researching aircraft from the collection and looking ‘beneath the skin’ to carry out a detailed conservation survey. Many of the team have been making weekly journeys from the Michael Beetham Conservation Centre at the Museum’s Cosford site to ensure we have the right expertise involved in the review. 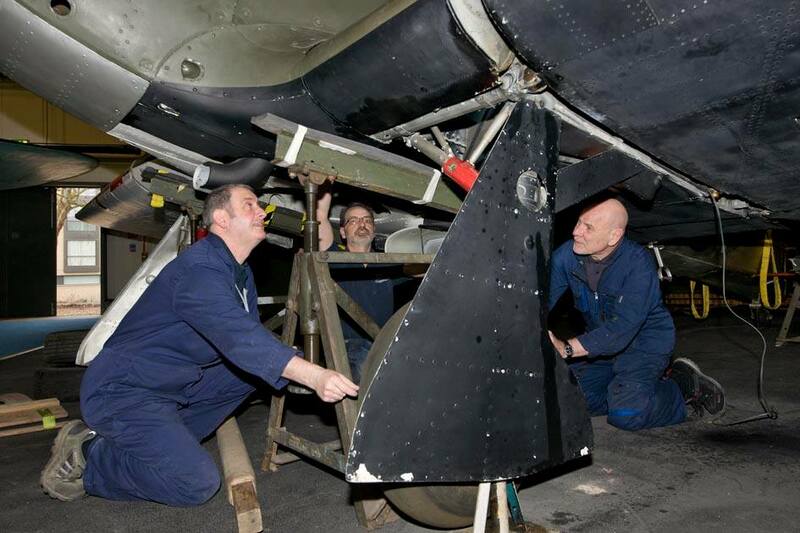 The focus of the survey has been on aircraft exhibited to tell the Battle of Britain story, in order for any conservation work to be carried out in advance of their planned redisplay. Please click here to discover the stories of these extraordinary artefacts, four of which are Battle of Britain veterans. 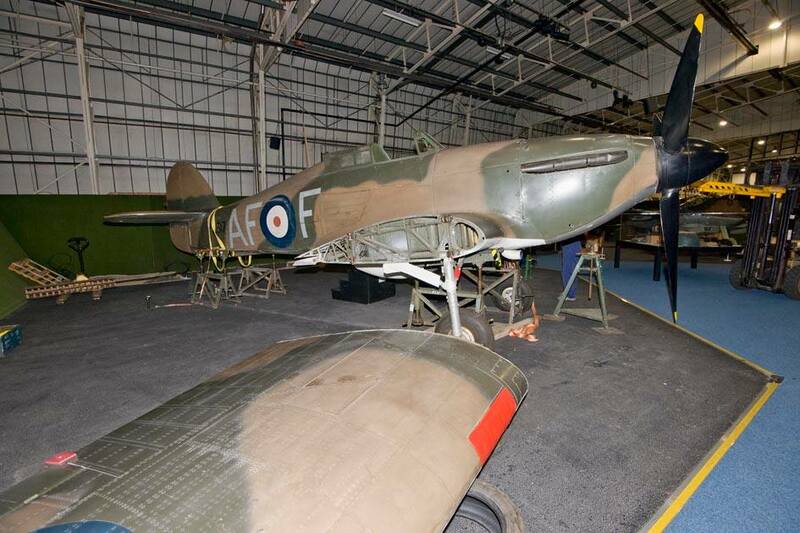 Relocating the aircraft to our galleries which explore the story of the Second World War in the air will enable us to integrate and explain the service and sacrifice made across all the Commands of the Royal Air Force for all our visitors at both our Cosford and London sites. 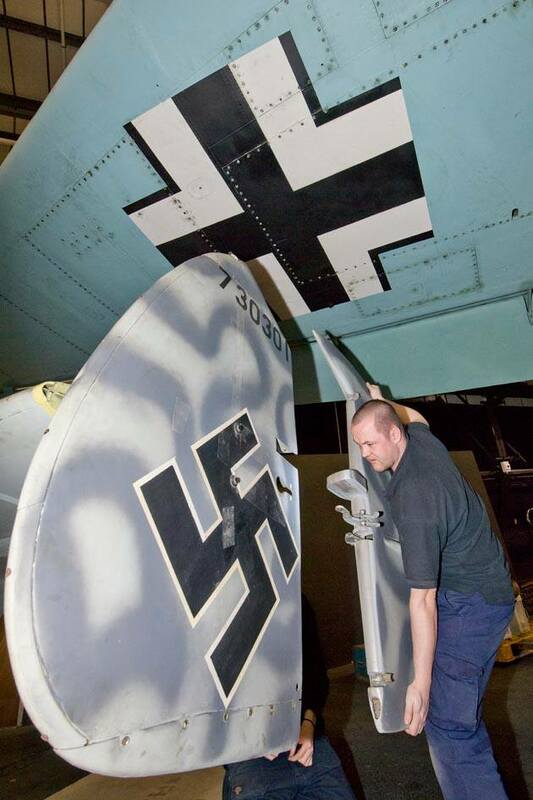 The final stages of the survey and conservation work will be carried out over the next two months, followed by the relocation and redisplay of the aircraft. Information about our progress will be shared regularly through the website and RAF Centenary e-newsletters. Redisplay plans will see five aircraft moving to new locations on our Cosford site (the Messerschmitt Bf 109G-2, Junkers Ju 88 R-1, Boulton Paul Defiant I, De Havilland Tiger Moth II and Gloster Gladiator I). The display of the Boulton Paul Defiant I in a West Midlands venue is particularly relevant given the company’s local history. In London, four aircraft will move into our main gallery (the Supermarine Spitfire I, Hawker Hurricane I, Fiat CR.42 and Messerschmitt Bf 109E). 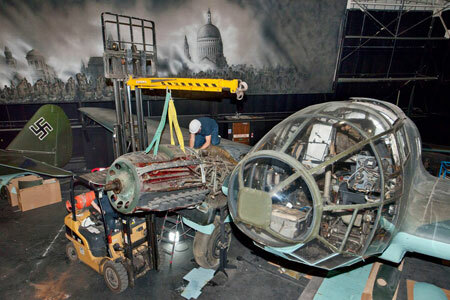 Four will be redisplayed in Bomber Hall with the Messerschmitt Bf 110G-4 displayed in pursuit of the Lancaster, clearly demonstrating the challenges of night bombing. The Heinkel He 111 H-20, Junkers Ju 87G-2 Stuka and Bristol Blenheim IV will complete the story.